Like me, Steve Martini was a journalist before he became a novelist. Unlike me, he was also a lawyer. Rogue Island, winner of the Edgar and the Macavity awards for best first novel, is available in trade paperback and kindle editions here. A downloadable audio version by Audible can be purchase here. 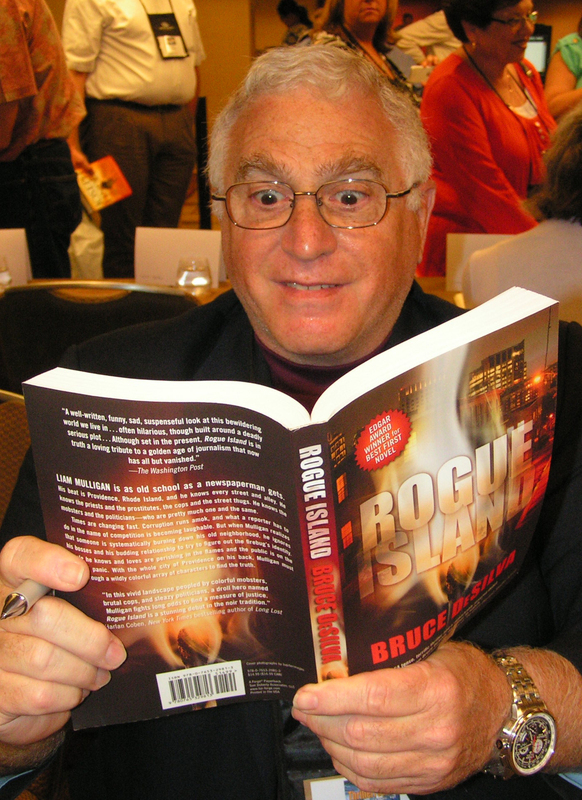 This entry was posted in Uncategorized and tagged Bruce DeSilva, crime novels, edgar award, hardboiled, Macavity, Mulligan, mysteries, New York Times bestsellers, noir, Paul Madriani, Rogue Island, Steve Martini, thrillers, Trader of Secrets, Trilogy of Terror. Bookmark the permalink.